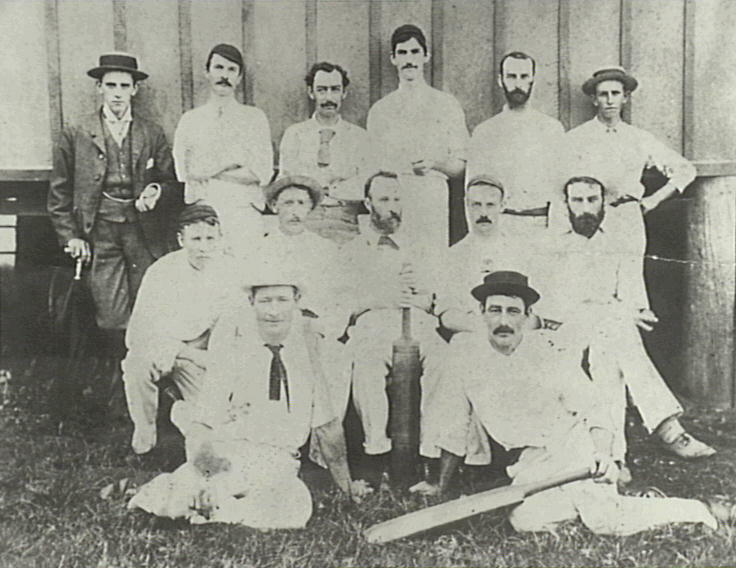 Camden Cricket team. Players posing for a photo. Sometime in the 1800s. A group entry, partly because we can’t actual put names to the men, but partly because of the collective appeal of their mustaches. Fine whites before a match.